Being a hunter meant having very little downtime. You knew this, the Winchesters knew this, everyone knew this. That didn't mean you weren't a bit annoyed every time your well deserved sleep was ruined by a newfound hunt. Lately, things have seemed to be a bit too much for your favorite long haired hunter. Dark circles have taken up residence underneath his eyes and his feet have started to drag on the ground with each step he takes. That's why you took it upon yourself to haul him out of his seat at one of the library tables and drag him over to the couch off to the side. After shoving him down onto the leather cushions, you plopped down next to him and wrapped your arms around him, placing your head on his chest. 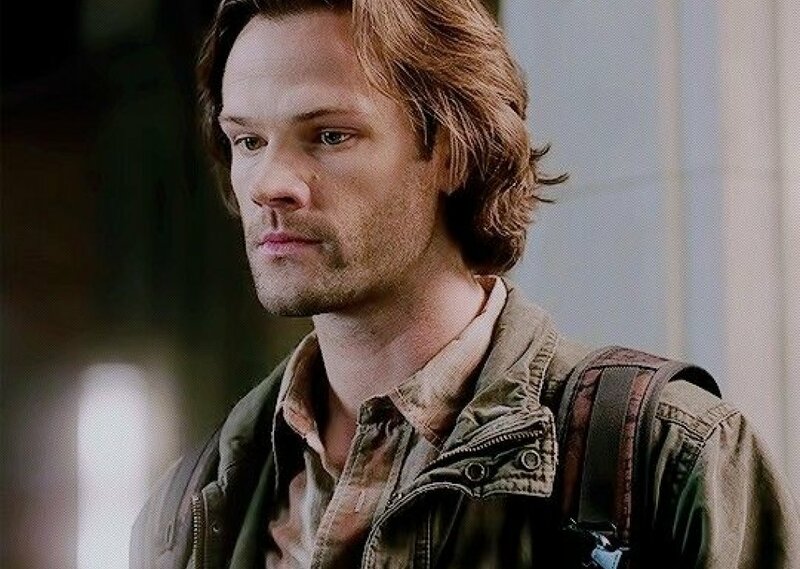 Dean watches the pair of you with a small, understanding smile as he continues to flip through lore books and type away at his laptop. Castiel pops in and out as well, though he luckily understands the need for quiet, so the only sign of his presence is the flutter of wings. Sam's heart beats just underneath your ear, and his soft breathing is the sign you have been waiting for to show that he is finally getting the rest he so desperately needs. Comments for "Resting in the Bunker with Sam"
License details for "Resting in the Bunker with Sam"